'Random' shootings, car rampages, knife attacks etc. Police are deployed in downtown Dunkirk, northern France, after reports of a woman threatening to detonate a bomb in the city’s hospital. An evacuation of the building is underway. It is understood that, in addition to police and firefighters, the French military has also been dispatched to the site. Whether the incident is somehow terrorism related is not yet clear. 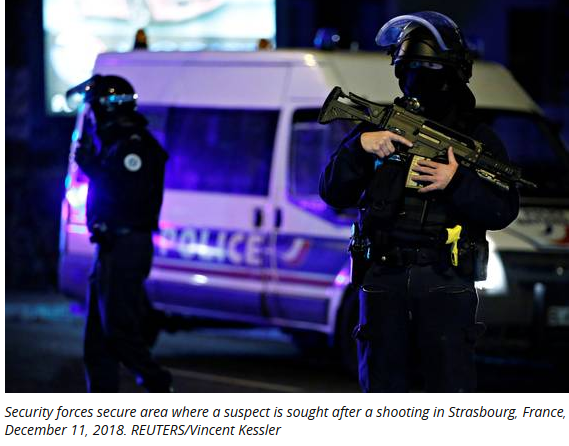 The situation kicked off after a woman showed up in the emergency room this morning, saying that there were explosives in the hospital, France 3 reports. The woman was later detained by police officers, who said that she was “unstable” and will be put in a suitable facility. 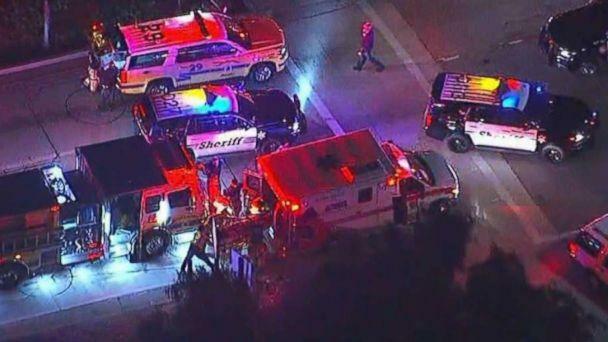 At least 12 people were killed and at least 10 others injured when a gunman burst into a packed Southern California bar, tossing smoke grenades and firing dozens of rounds, witnesses and authorities said. The lone suspect was found dead inside the Borderline Bar and Grill in Thousand Oaks, police said. Authorities are working to determine who he is and what his motive may have been. Sgt. Ron Helus, a 29-year veteran who was about to retire, was among the dozen killed overnight, according to the Ventura County Sheriff's Department. Helus was one of the first on the scene and was struck multiple times when he went through the front door, the sheriff's office said. Police responded to the Borderline Bar and Grill in Thousand Oaks, about 40 miles west of Los Angeles, just before midnight local time. Hundreds were inside the bar at the time. "The gunman was throwing smoke grenades all over the place," witness John Hedge told ABC Los Angeles station KABC. "I saw him point to the back of the cash register and he just kept firing. I ran out the front door." "I hear chairs being thrown out the window -- people were trying to get out of the window," Hedge said. "I don't know how I didn't get shot." Initial reports from officers said about 30 shots were fired. "They were very, very loud gunshots," college student Erika Sigman told KABC. "There were people in the middle dancing... you hear that and you just know." Ian Long has been identified as the black-clad ex-Marine with mental health troubles who opened fire at a crowded college bar in Thousand Oaks, California, killing at least 12 and wounding many more, in a horrific scene in which people hid in bathrooms and smashed windows to try to escape. There was a knife attack in Melbourne, where at least one person was killed and two injured. According to news IS claims responsibility and Melbourne is in lockdown. One person has been killed and two others wounded as a knife-wielding man went on a rampage in a busy street in central Melbourne. Police have opened a counter-terrorism probe following the assault. Victoria Police responded to a major incident on Friday afternoon on Bourke Street in Melbourne, Australia. The officers were initially called in over reports of a fire, but when they arrived and got out of the car, they were “confronted by a male brandishing a knife and threatening them,” Superintendent David Clayton told reporters. “What we know so far about the individual… from what we know we are treating this as a terrorism incident,” Chief Commissioner Graham Ashton told media. Elaborating on the details about the man’s identity, officials said he came to Australia from Somalia in the 1990s, yet stopped short of giving more information. It is reported that the attacker burned a car before starting his knife attack. Some witnesses claim they saw a car driving at high speed and crashing after missing a tram, according to ABC. Others reportedly saw the suspected driver getting out of the car and throwing “something like a bomb” inside before it caught fire. There is still no clear understanding of how the fire in the car started, though police revealed the attacker had “barbecue-style gas cylinders” inside the vehicle. On top of that, there was car ramming in Barcelona which injured four. And in Belgium two officers on motorbikes from the motorcade of the PMs of Britain and Belgium, who were returning from a poppy wreath laying ceremony and were on their way to NATO's 'supreme' headquarters, were injured after a car apparently slammed on its breaks, refusing to obey orders to from the officers to get out of the way. BUCHAREST - A Romanian man crashed his car into the front doors of a shopping mall in the Danube river city of Braila on Sunday, injuring seven people including two children, police said. The 20-year-old man from Braila was immobilized by shoppers and arrested within minutes by the local police. The mall’s entrance lies on a pedestrian alleyway. All the injured have been admitted to the hospital, with one in severe condition, police said. “He tested so far positive for alcohol, 0.37 milligrams per liter. We are testing him as well for banned substances,” Laura Dan, spokeswoman for the Braila county police told Reuters by telephone. Dan said that prior to the shopping mall incident, the man stabbed a villager from a nearby locality after the two had argued over a car deal and consequently he injured another two people on the city’s ring road on his way to Braila. Chicago police are responding to a possible active shooter situation near the city's Mercy Hospital. Multiple victims have been shot, and the public are advised to avoid the area. Multiple people were shot Monday afternoon near Mercy Hospital in the South Side Bronzeville neighborhood. A “heavy police response” was headed for the area near 26th and Michigan Avenue, near Mercy Hospital, for reports of gunfire, according to Chicago Police Department spokesman Anthony Guglielmi. Multiple victims were reported, but it was not immediately clear how many people had been shot. At least one possible shooter was shot, Guglielmi said. Authorities say one person is dead and four others have been wounded in a shooting in broad daylight in downtown Denver. It happened around 4 p.m. near the busy intersection of 21st and Lawrence streets. A suspect or suspects remain at large. In St. Petersburg, a man attacked young people with a knife while making a deal on the sale of a car. He had 17 stab wounds on one of the guys who died, the other was hospitalized. The suspect was detained, he was a 52-year-old native of Tajikistan. A man entrenched himself this Friday in the early evening at the service station of Espace Anjou in Angers, a grenade in his hand. Since then, he threatens to blow himself up. He said his grenade was unpinned. A raid group arrived to prevent the desperate from committing the irreparable. The madman asks that the "yellow vests" be received at the Elysee. The negotiators are currently discussing (at 8 pm) with the madman. The RAID police are only two meters away from him. They gave him a bottle of water. The security perimeter widens further. The goal: "That nobody is in the field of a possible shot" assure the authorities. BETHESDA, Md. 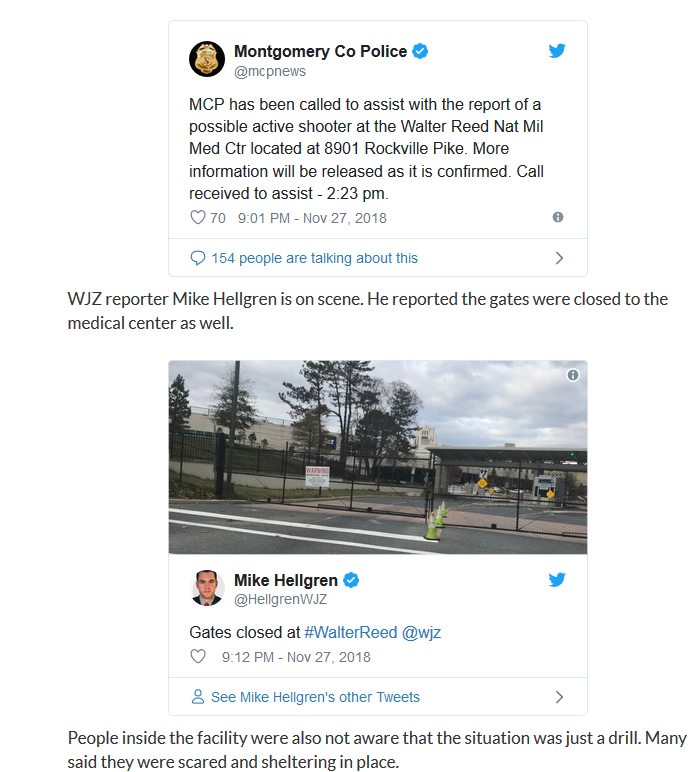 (WJZ) — According to military officials, the active shooter reported at Walter Reed National Military Medical Center Tuesday afternoon was a drill. Apparently, no one told Maryland Rep. Dutch Ruppersberger it was a drill. 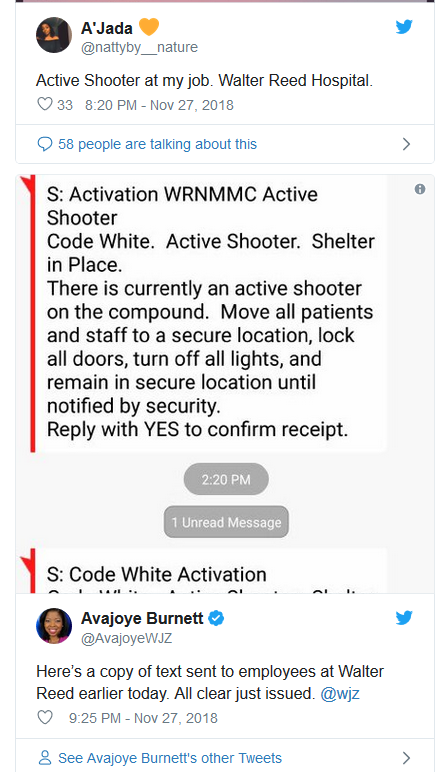 Ruppersberger tweeted about an active shooter at Walter Reed around 2:31 p.m. and said he was sheltering in place. 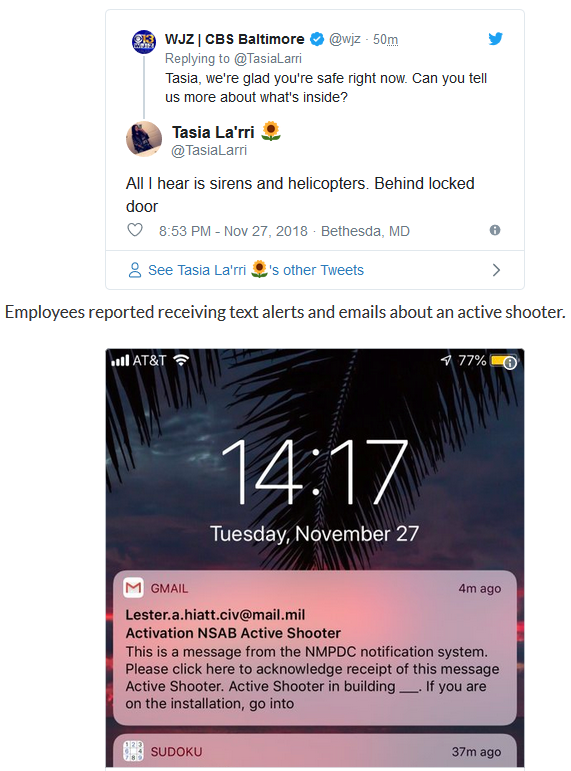 “I am currently at Walter Reed Medical in Bethesda where we’ve been told there is an active shooter. I am currently safe in a conference room w/ approx 40 others,” Ruppersberger tweeted out. 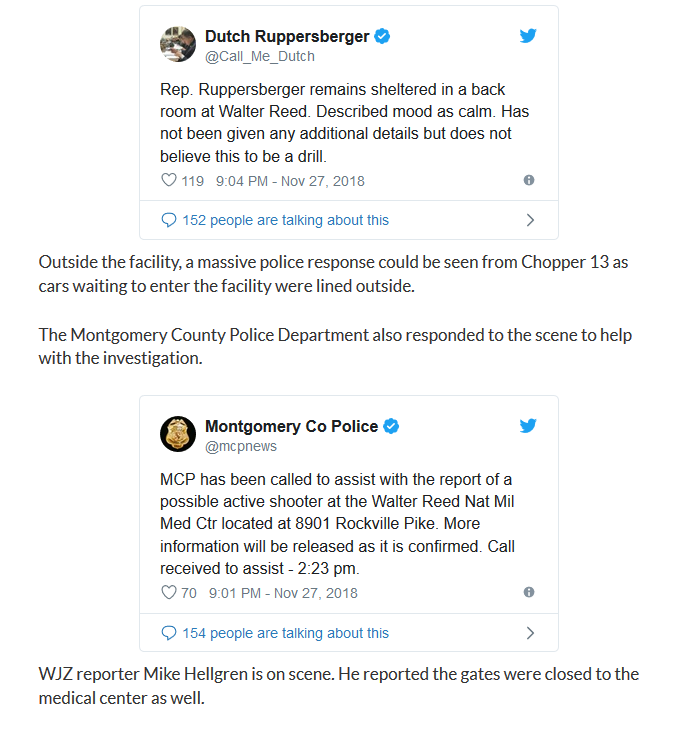 Another tweet from Ruppersberger’s account at 3:04 p.m. stated that he remains sheltered and he again confirmed he didn’t believe it to be a drill. Outside the facility, a massive police response could be seen from Chopper 13 as cars waiting to enter the facility were lined outside. The Montgomery County Police Department also responded to the scene to help with the investigation. THIS IS BREAKING NEWS. WE HAVE CREWS ON SCENE. WE WILL CONTINUE TO UPDATE THIS STORY AS MORE INFORMATION BECOMES AVAILABLE. The authorities did not release the name of the shooter but said he was a man with no police record who worked as a computer technician, according to a spokesman for the Campinas Firefighters Department who asked not to be named. The assailant was armed with two handguns and his motive is not known, the spokesman said. 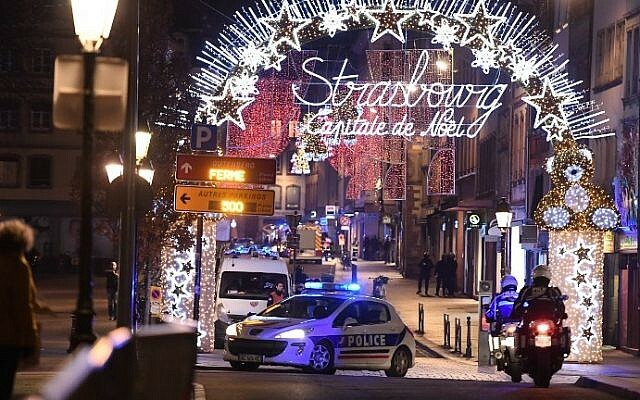 Police searched through eastern France on Wednesday for a man suspected of killing at least two people in a gun attack on a Christmas market in Strasbourg and who was known to have been religiously radicalised while in jail. Witnesses told investigators the assailant cried out "Allahu Akbar" (God is Greater) as he launched his attack on the market, the Paris prosecutor said. The prosecutor, Remy Heitz, also suggested the suspect may have chosen his target for its religious symbolism. "Considering the target, his way of operating, his profile and the testimonies of those who heard him yell 'Allahu Akbar', the anti-terrorist police has been called into action," Heitz told a news conference. Officials said Cherif Chekatt has a lengthy criminal record including several serious cases of robbery. The official said his apartment was searched by police on Tuesday morning - hours before the shooting - in an investigation over an attempted murder but he was not at home. The French government has increased its security alert system Vigipirate to its highest level. 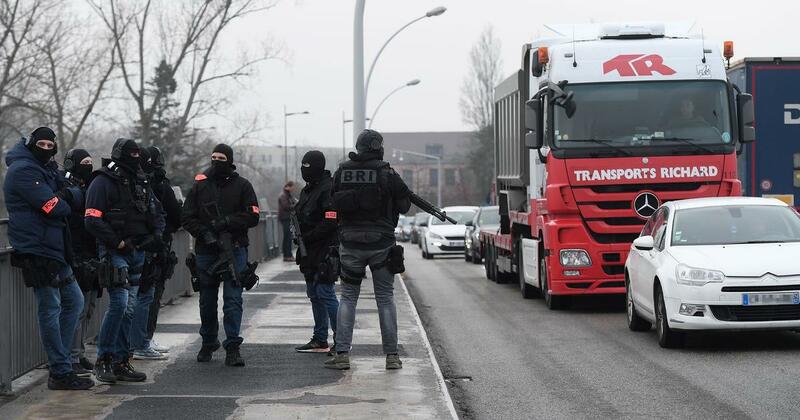 Mr Castaner said: "Three hundred and fifty police and gendarmes are currently on the ground to apprehend the suspect, supported by two helicopters, the RAID (French anti-terror police), the BRI (anti-gang brigade) and the Sentinel force. "The government has decided to move the security level to "Emergency Attack" with stricter controls at the borders, and the implementation of reinforced controls on all the Christmas markets that are taking place in France to avoid the risk of copycat attacks." 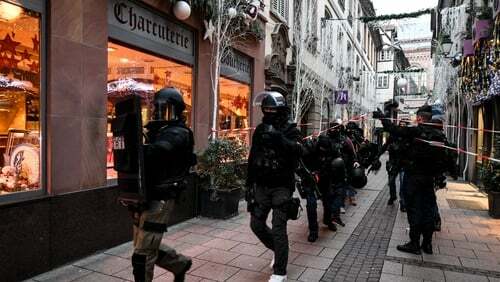 The suspect was shot and injured by soldiers guarding the Christmas market but he escaped in a taxi, BFM TV said. 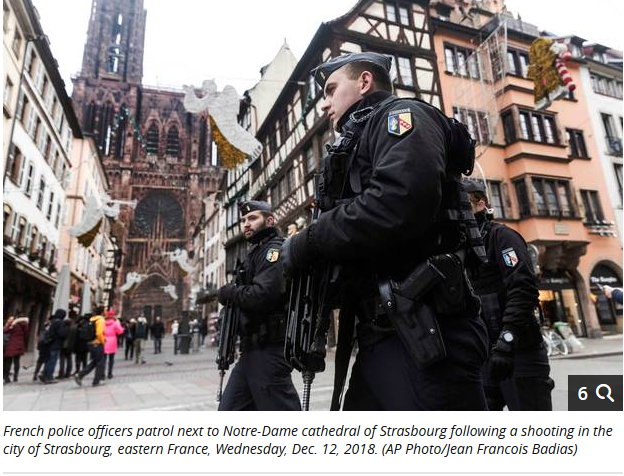 He was said to have entered central Strasbourg via the Corbeau bridge to the south of the city centre, before heading to Rue des Orfevres, a popular shopping street close to the cathedral, where he opened fire at around 8pm local time (7pm GMT). In the aftermath, residents were urged to stay indoors and the nearby European Parliament was placed on lockdown. Antonio Tajani, the president of the parliament, said: "This parliament will not be intimidated by terrorist or criminal attacks. Let us move on. We will continue to work and react strengthened by freedom and democracy against terrorist violence." Fans attending a basketball game were also kept behind and began to sing the French national anthem in "homage to the victims". The Christmas market was closed on Wednesday and flags lowered to half-mast. The mayor of Strasbourg Roland Ries tweeted: "A book of condolences will be opened at the Town Hall from today. "I want to thank the people of Strasbourg and visitors to the city for their patience and understanding." President Emmanuel Macron, who attended a Interdepartmental Crisis Centre meeting, left without speaking to reporters but later tweeted the "solidarity of the entire nation" is with Strasbourg, the victims and their families". 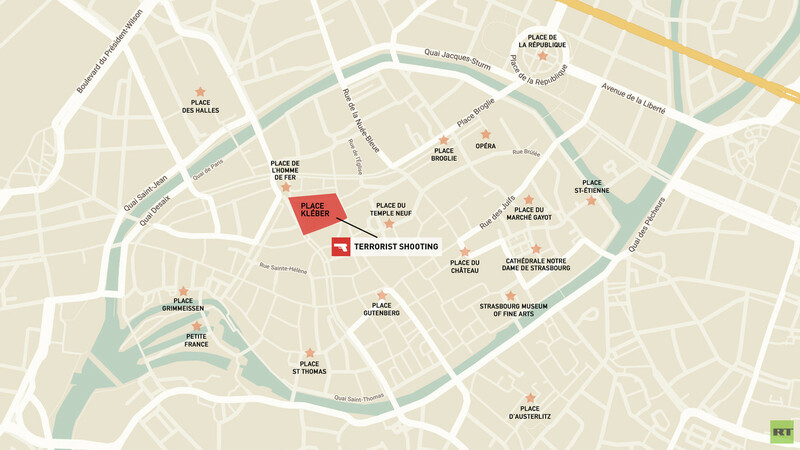 France has been hit by several extremist attacks in recent years, including the 2015 Paris shootings which left 130 people dead and wounded hundreds more. In 2016 a truck was driven into Bastille Day crowds in Nice, killing 86 people and leaving hundreds injured. I read the translated comment about two shooters in the last SOTT article. Here is the french version corrected (original posts had a lot of errors). Merci de ne pas déformer mon témoignage, sympathique journaliste au bonnet bleu et à l'iphone. Moi j'avais un manteau noir avec une capuche orange, et tu m'as interviewé à la sortie du checkout de République. Donc, pour permettre de remettre les pendules à l'heure, jamais ce sont les bleus (policiers) qui nous on dit de nous réfugier dans les bars. Jamais la police ne s'est occupée des gens, on a juste courus au tir du premier tireur, qui était non loin de la place que tu cites, pour se réfugier à Kleber, et là a commencé à tirer le second aux alentours de Grande Rue. Oui je t'ai parlé de tir d'arme automatique mais c'était bien les ripostes de la force Licorne, et sérieux je me demande comment quelqu'un de blessé au Famas a pu sortir jusqu'au Neudorf, là où je vis, et peut y accéder. En tout cas dommage de rapporter de fausses informations qui rassurent à propos du soutien de la police, car il a été nul. Pas de haine ou quoi, juste sois juste dans ce que tu rapportes. Je réponds car je suis sûr que c'est de moi étant en état de choc, quand un journaliste m'a abordé au checkout. Encore une fois, drôle de coîncidence, quand on s'appelle Cédric. Donc comprends, c'est quand même troublant. Thank you not to distort my testimony, nice journalist in the blue cap and the iphone. I had a black coat with an orange hood, and you interviewed me at the exit of the checkout Republic. So, to help set the record straight, it's never the blues (police) who told us to take refuge in bars. The police never took care of the people, we just ran to the first shooter's fire, which was not far from the place you mentioned, to take refuge in Kleber, and there the second began shooting around Grande Rue (street). and seriously I wonder how someone injured by Famas was able to get to Neudorf, where I live, and can access it. In any case a pity to report false information to reassure about the support of the police, because there was zero support. No hate or whatever, just be right in what you report. I answer because I'm sure it's me being in shock, when a reporter approached me at checkout. Once again, funny coincidence, because my name is Cedric. So understand, it's still disturbing. 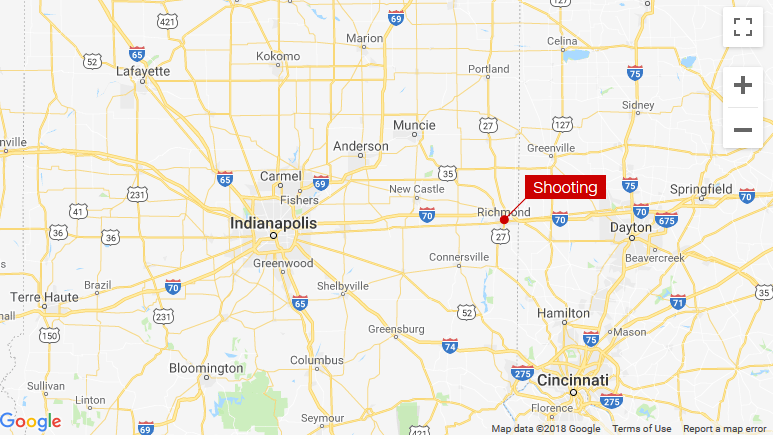 A teenager was en route to an Indiana middle school Thursday to commit an act of violence, but police were able to stop him after receiving a tip, state police said. "Someone knew something, and they said something," the sergeant said, attributing the fact that no students were hurt to the tipster.